I had the Kelpie "Gizmo" - Aussie Actions Opal first and things went quaite well! 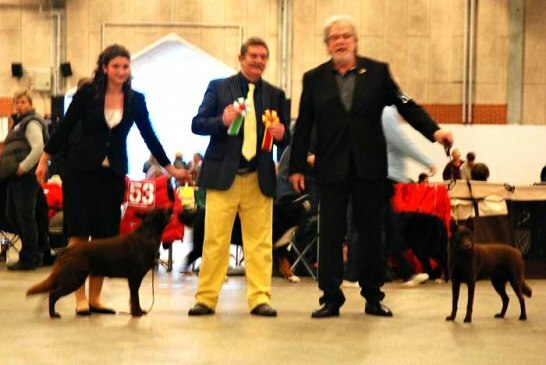 He became best male and then BOS with CAC, CACIB & got the title Danish Winner- 12! Sunday 4/11 and we had better luck with the ring placements today! Instead we had great succes with the ACD´s!!! Junior became BOB and Mania became BOS! Both got their CAC, CACIB & Nordic Winner 2012! 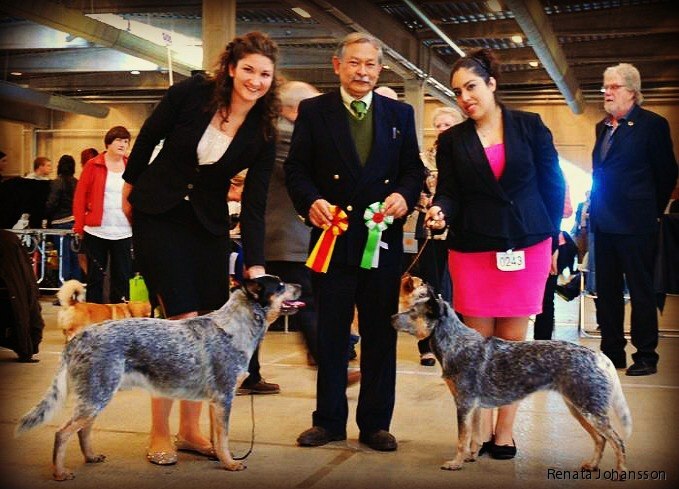 So happy and proud of my beautiful dogs! Congratulations to all our friends that did well this weekend at Herning! Sweden did very well in the group & BIS finals!